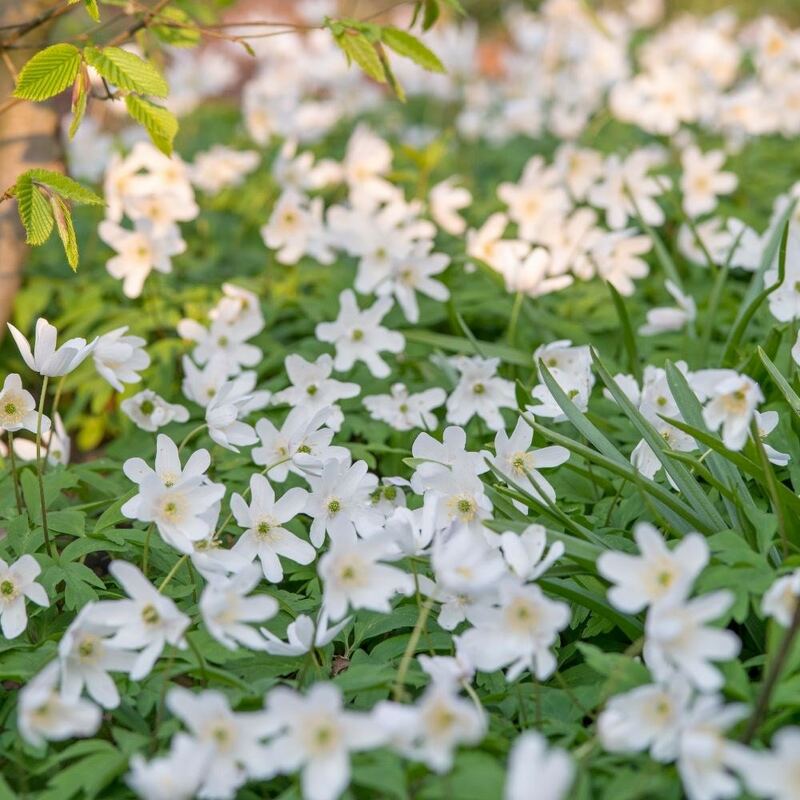 You can create a stunning carpet of flowers if you plant loads of these wood anemones around the feet of your deciduous trees and shrubs. The faintly scented, white flowers are sometimes flushed with pink on the outer petals and their 'faces' will follow the sun across the sky. They appear above clumps of feathery foliage just before the trees burst into leaf in spring. This is a well deserved recipient of the RHS Award of Garden Merit. Plant with bluebells, as their flowering time just overlaps. I plant anemone nemorosa in my garden because I've seen so much damaged in the wild due to road maintenance. I'm trying to put something back.